One of a kind service. Consistent quality you can depend on. What sets us apart from our competition is our friendly, old fashioned service, honest advice and genuine concern for our customers. In addition, we set ourselves apart from the competition with little things that make a big difference. From our carefully selected specialty hangers for packaging your garments to look their best, to using permanent barcodes to eliminate those distressing paper tags, treats for the kids, and a tidbit for your furry friend, you will find a distinction between us and our competition. Our customer service representatives are trained to offer knowledge and expertise regarding all fabric care issues. 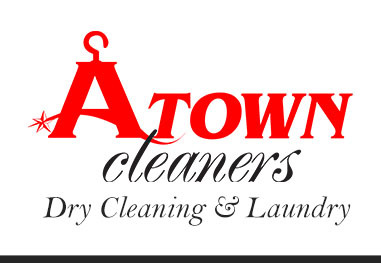 A-Town Cleaners has a wide array of services that goes beyond what other cleaners offer. Our services include: laundry, wet cleaning, dry cleaning, alterations, leather, specialty cleaning for those hard to clean items, and even preservation of wedding gowns and formal wear. Check out our list of services for more details.